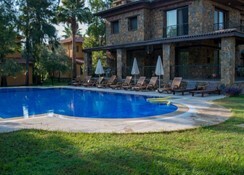 The hotel is set within a lush subtropical garden environment along the banks of the river Dalyan. 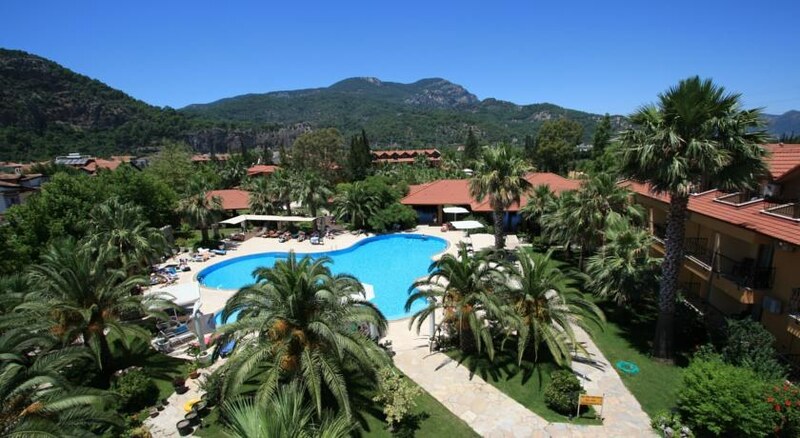 The restaurants and shops of Dalyan village can be reached within a 10 minutes'' walk, the ancient city of Kaunos is 1.5 km away, Dalaman Airport is at a distance of 18.9 km. The hotel offers 24-hours reception, there will be mini bar and kettle in all rooms, currency exchange, conference facilities, free WIFI in the lobby, library, restaurant, 2 bars, 2 pools, children''s pool, laundry service, bicycle rental, car hire and free parking. Pets can be allowed on request.